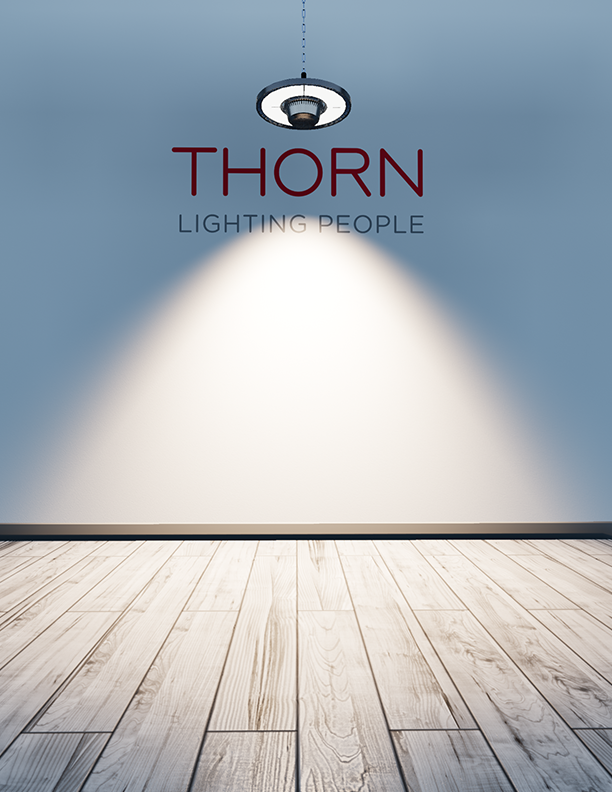 Thorn Lighting is a globally trusted supplier of high performance outdoor and indoor luminaires with integraded smart controls. Achilles asked us to visualize their designs to evaluate dimensions, colors and materials. 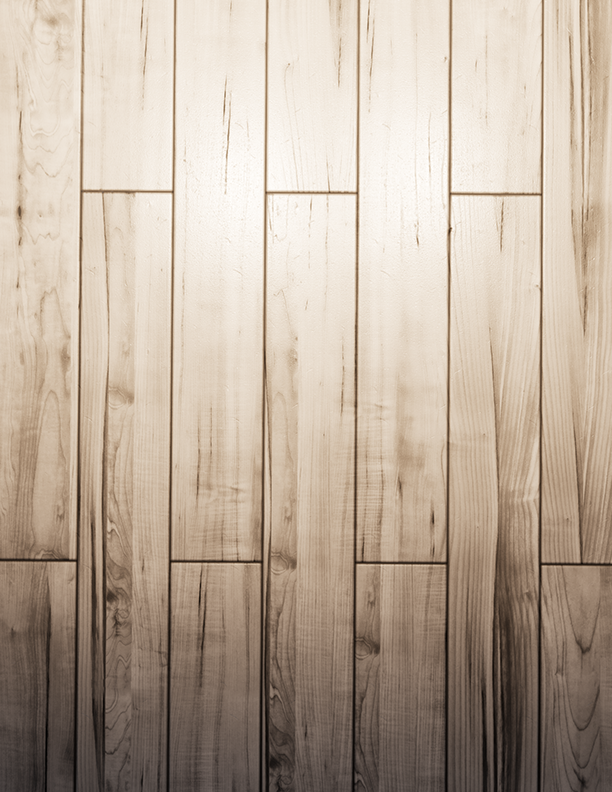 "Using VR as a design tool"
"Experience your product in VR before prototyping it." 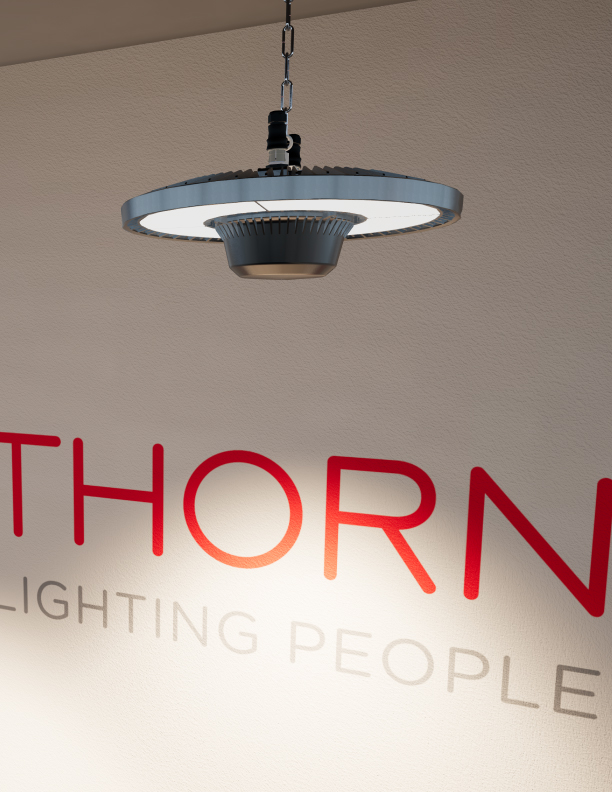 Thorn Lighting (a member of the Zumtobel Group) approached Achilles to develop a design language for their new range of smart LED high bay lighting systems. 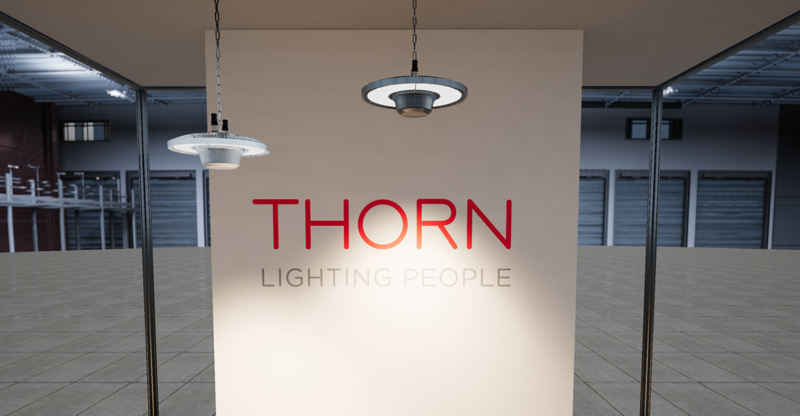 Starting from a technical concept, they explored different packaging solutions and developed a form language that represents the brand values and highlights the technical innovations of the lighting system: the thermal split up, LED ring, intelligent cone, rim, etc. 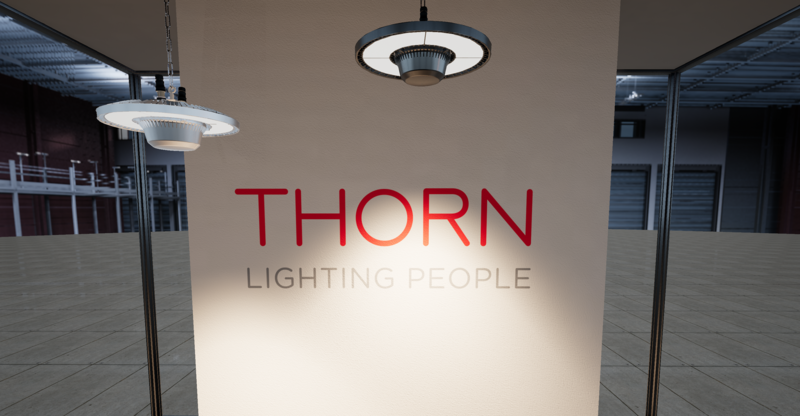 Thorn is known for products that are easy to install, efficient and effective. Achilles developed a design language that incorporates design principles and signature elements. This design language ensures that the products fit with the brand identity and have a strong family look. We used CAD models, provided by Achilles, coupled with the right lighting IES-profiles to visualize their design concepts in VR. This wat we enabled them to simulate the products: shape and form, colors, materials finishes, but also the REAL way photons coming from the LED lightsources would bounce around the physical space. We evaluated aesthetics, ergonomics and usability, product assembly, packaging and maintenance before prototypes were made. The design language and some specific technical requirements/features brought forward a lot of signature elements that define the overall look and feel. These elements where documented in great detail, tested in virtual reality and implemented in the industrialisation stage.